Provide comfort for the family of Margaret Newell with a meaningful gesture of sympathy. BARRE- Margaret "Peggy" A. (Murphy) Newell, 82, passed away on Friday, February 8, 2019 at UMass Hospital University Campus with her adoring family at her side. She was born in Leominster, MA, the daughter of Joseph and Mary (Kilcoyne) Murphy. Peggy leaves her loving husband of 61 years, Richard H. Newell of Barre; 4 children, Ellen Canavan & her husband Jack of Sturbridge, Richard J. Newell & his wife Maria of Barre, David Newell & his wife Alina of Chula Vista, CA and Tom Newell & his wife Lisa of Hardwick; 6 grandchildren whom she adored, John (wife Michelle) and Tommy Canavan, Trevor (wife Colleen), Katie (fiancé Billy Reagan), and Matt Newell, and Kendal (Newell) Pollier (husband Hogan); 4 great grandchildren who were the light of her life, Weston and Kyle Newell, Conor Canavan, and Irelynn Pollier. She was predeceased by her son, Michael, who died in 1985. She earned her Bachelor's Degree from Fitchburg State College in Elementary Education in 1957. Peggy taught second grade at The Buttrick School in Sterling before staying home to raise her five children. In 1976 she returned to teaching, a job that she loved, at Ruggles Lane School in Barre, MA where she stayed until her retirement in 1997. Peggy was an active member of St. Joseph's Church in Barre where she taught CCD for many years. She was also a Cub Scout den mother while her four sons were growing up. Peggy was a kind and generous soul who was a friend to all, and all who knew her loved her. She loved flowers and gardening; every spring, summer, and fall her yard was full of colorful blooms. She also loved animals of all kind, especially her childhood goat and her dogs. Above all she loved her husband and family; nothing made her happier than spending time with her children, grandchildren, and great grandchildren, especially annual summer vacations to Florida, Maine, California or Cape Cod. She was a wonderful baker and we will almost miss "Mimi's chocolate chip cookies" as much as we will miss our beloved wife, mom, and Mimi. Calling hours will be Thursday, February 14, 2019 from 9:00am to 10:30 a.m. at Pillsbury Funeral Home in Barre, MA. Mass of Christian burial will follow at 11:00am at St. Thomas-a-Becket Church Vernon Ave. South Barre, Burial will follow at St. Joseph's Cemetery. Donations may be made in Peggy's name to the Pediatric Brain Tumor Foundation, 302 Ridgefield Court, Asheville, NC 28806, online at www.curethekids.org/donate, or to Second Chance Animal Shelter, PO Box 136, East Brookfield, MA 01515, online at www.secondchanceanimals.org/donate. 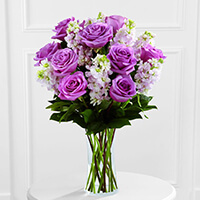 To send flowers in memory of Margaret A. "Peggy" Newell, please visit our Heartfelt Sympathies Store. Sharp Chula Vista Medical Center Rehab Department sent flowers to the family of Margaret A. "Peggy" Newell. This was a shock for my wife and I. I’m very sad to hear of Peggy’s death. If you need anything mr Newell were just a few houses up. The Newell Family: Our thoughts and prayers are with you and your family during this difficult time. Please accept our most heartfelt sympathies for your loss. Sharp Chula Vista Medical Center Rehab Department purchased the The FTD All Things Bright Bouquet for the family of Margaret Newell. May the family of Margaret A. Newell please accept my sincere condolences hoping you find comfort in God's words at Acts 24:15 and Psalm 37:29.